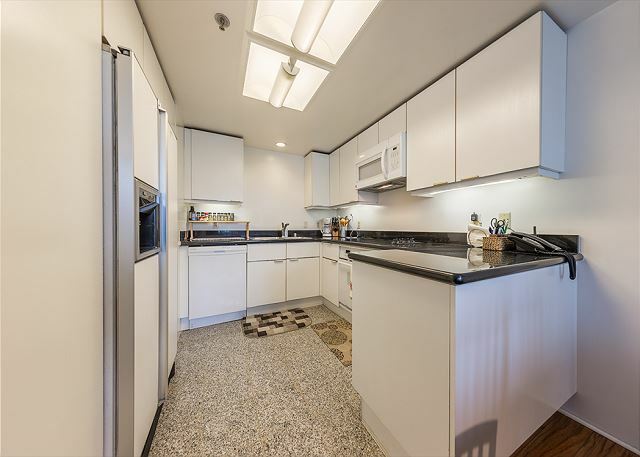 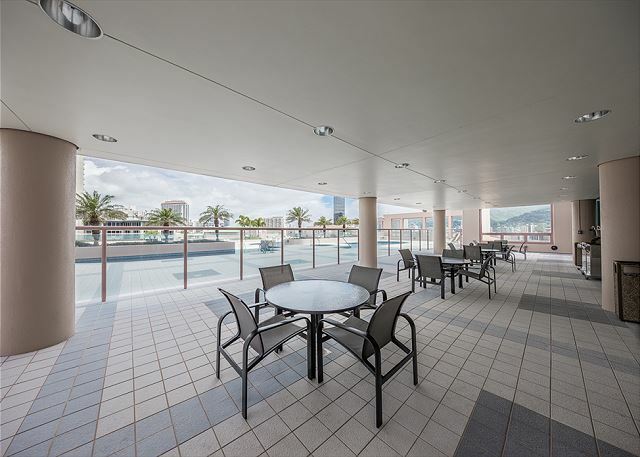 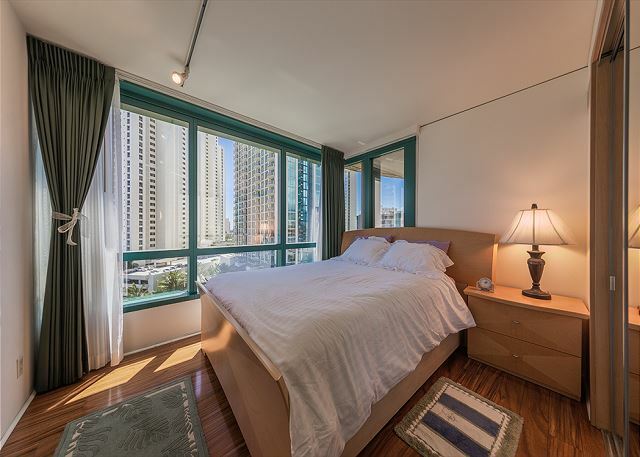 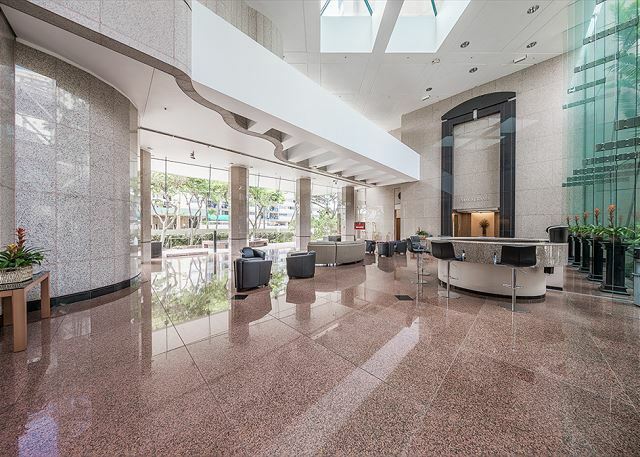 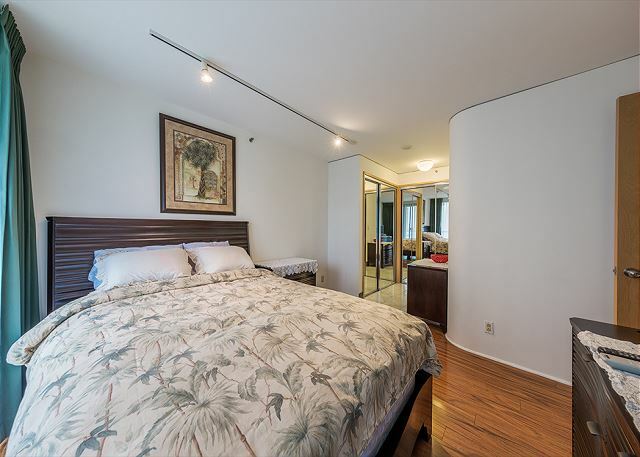 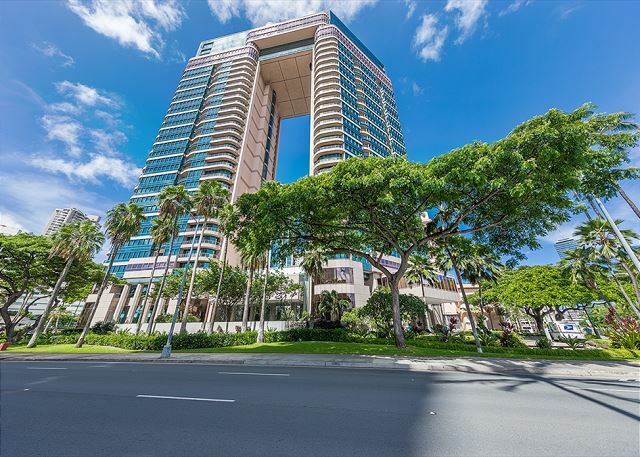 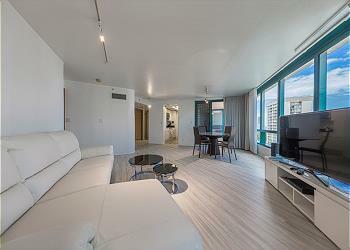 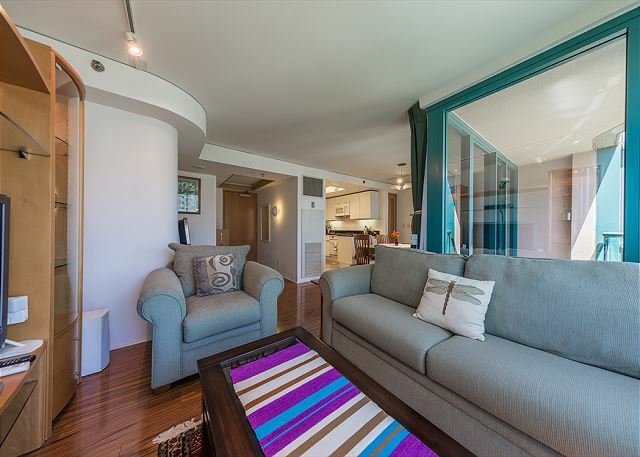 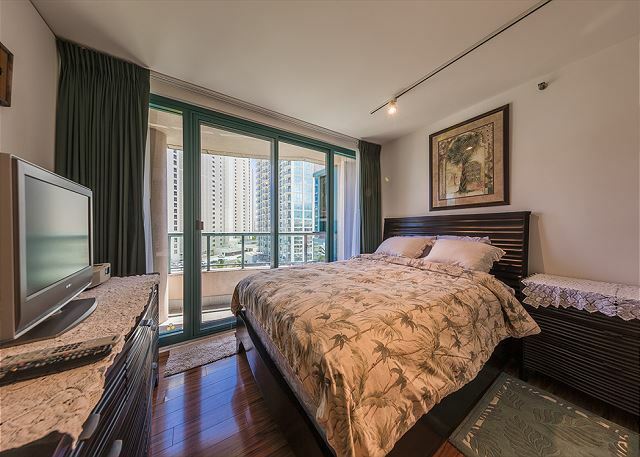 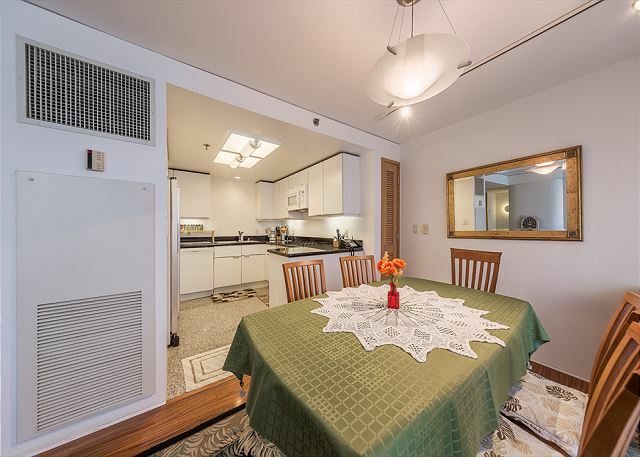 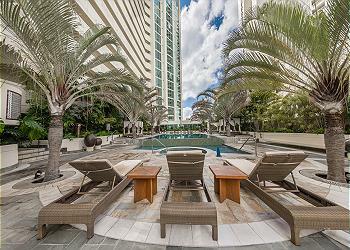 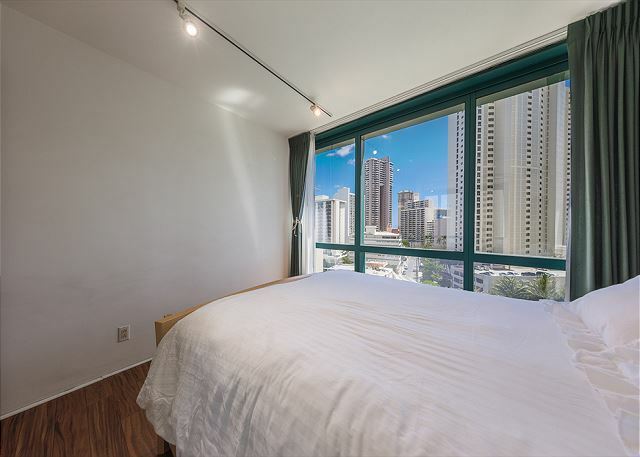 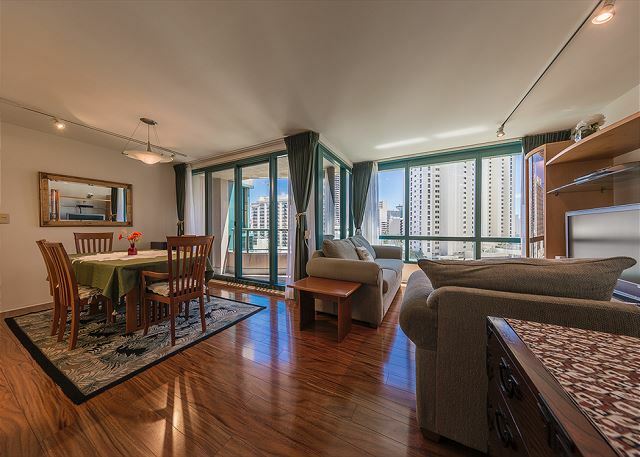 (30 Days Minimum Stay) You will find this high-quality luxurious twin towered condominium at the entrance of Waikiki on the Kalakaua Avenue after you cross the Ala Wai canal. 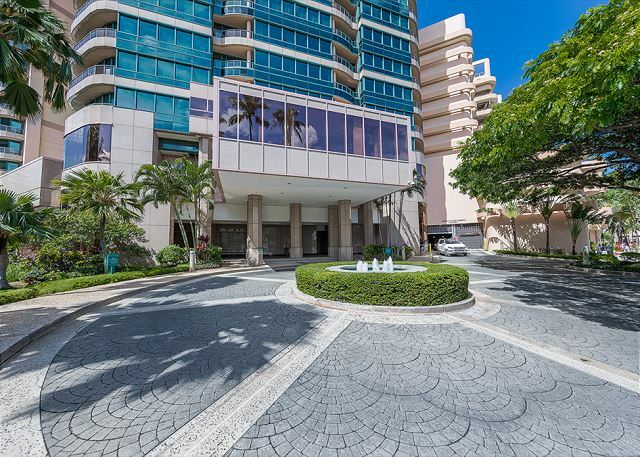 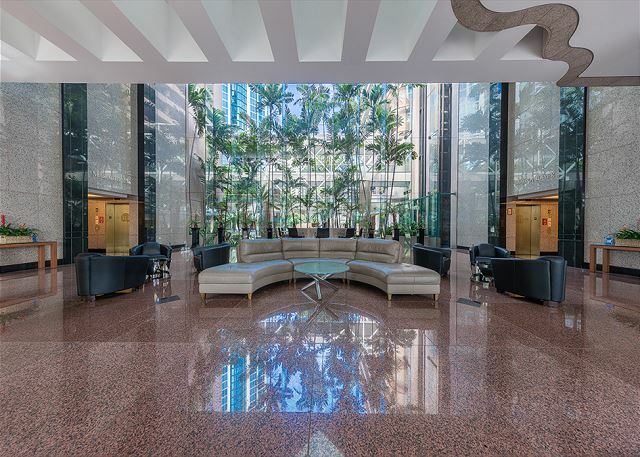 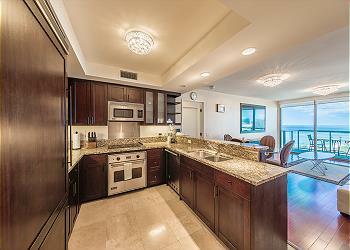 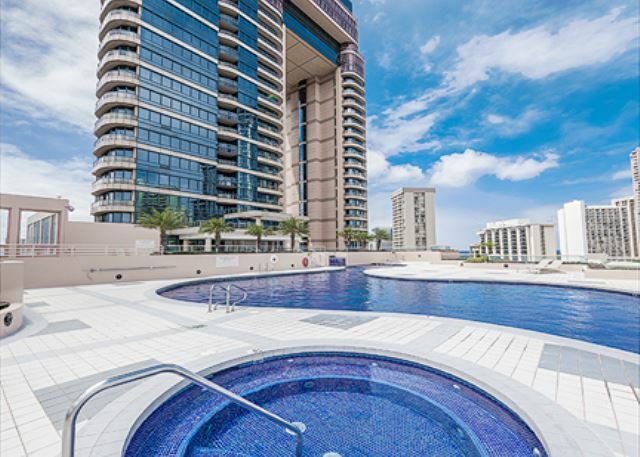 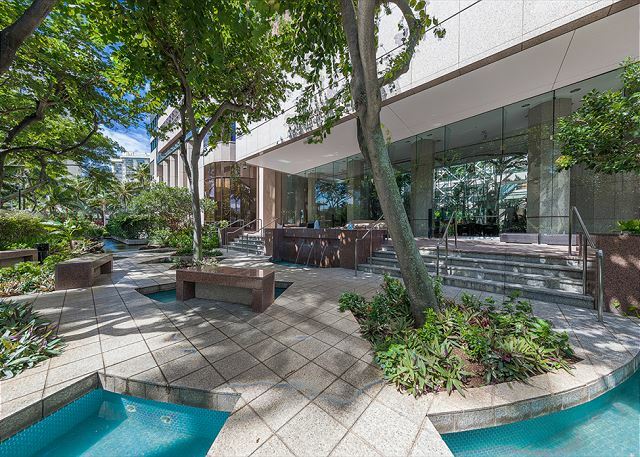 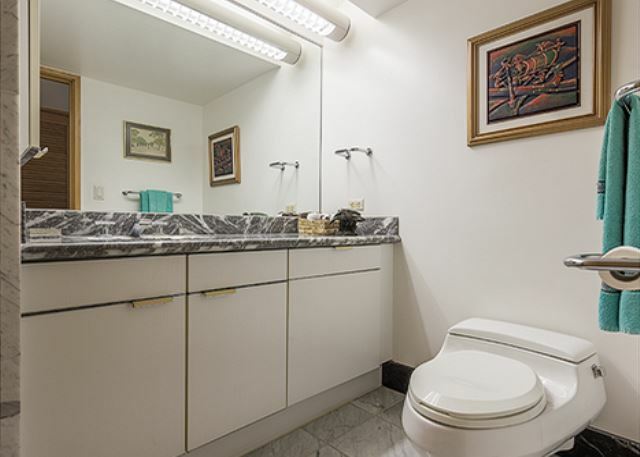 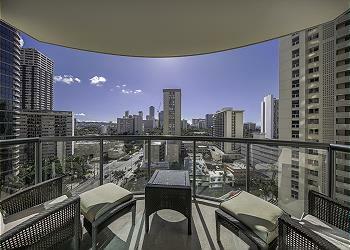 This gorgeous condominium with abundant marble has the concierge desk and the 24hr security. 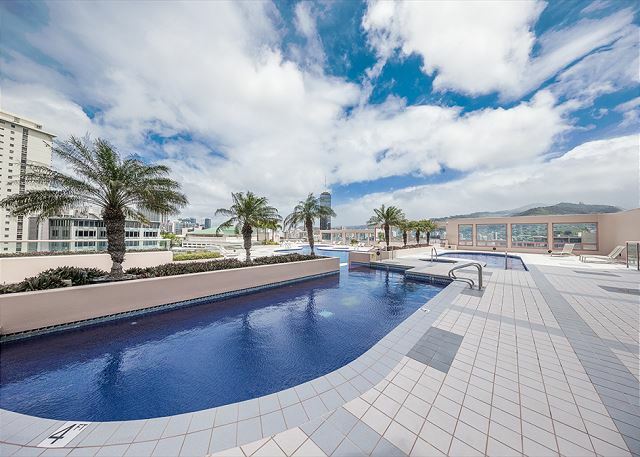 Three different kinds of swimming pools and the Jacuzzi located on the 15th floor roof top will give you great open feelings and relaxation. 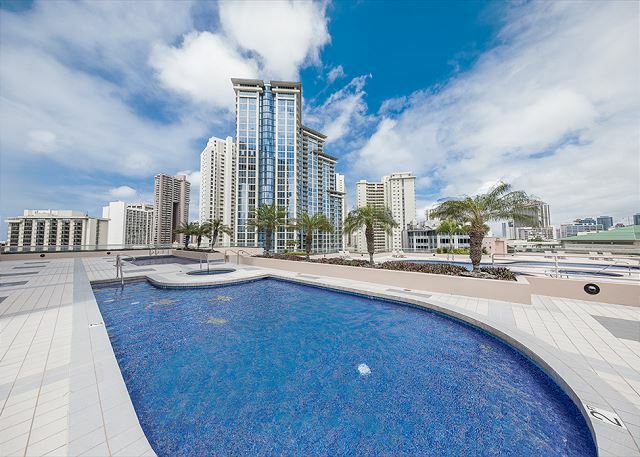 This unit is located 13th floor and you can enjoy the mixed view of city and partial ocean. 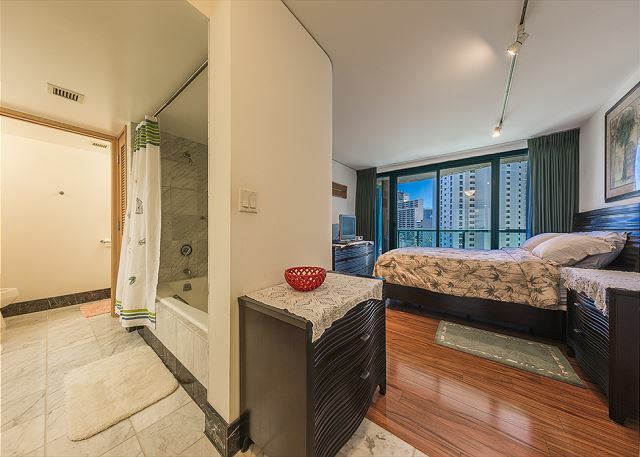 There are a laminated floor, a functional and luxurious full kitchen, a master bedroom with one queen size bed, a guest room with a queen size bed, and the living room with a sofa sleeper, a spacious bathroom with gorgeous marble tone, a washer and dryer in the room. 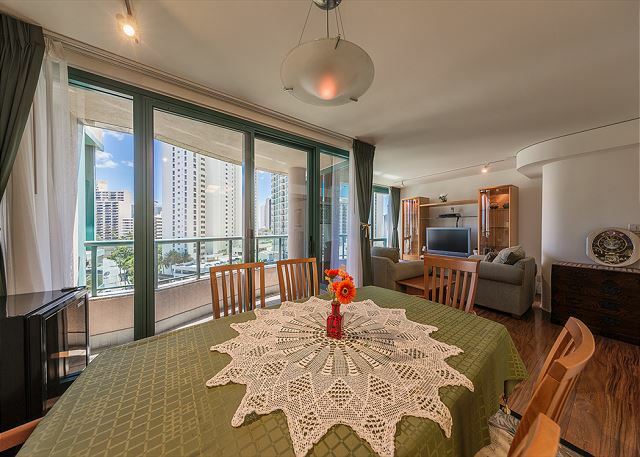 You can use a free local call and free wireless Internet (Wifi), and also one free parking is available. 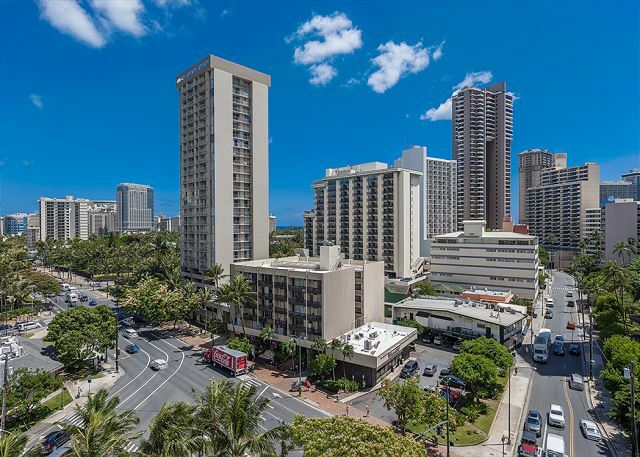 There are a super market, Seven-Eleven and McCully shopping center within the walking distance. 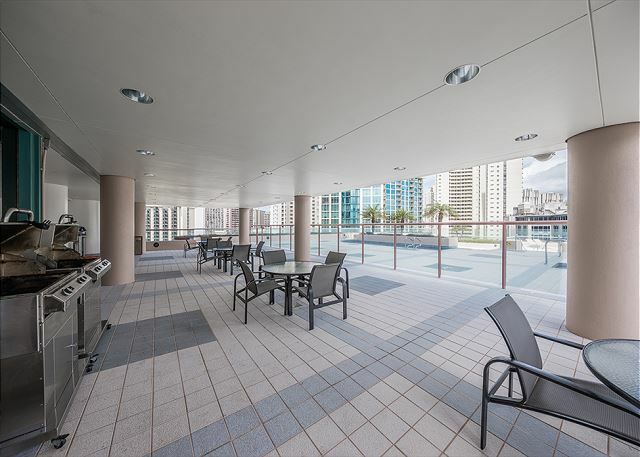 A bus stop is conveniently located in front of the condominium so you can visit some other popular places by the bus. 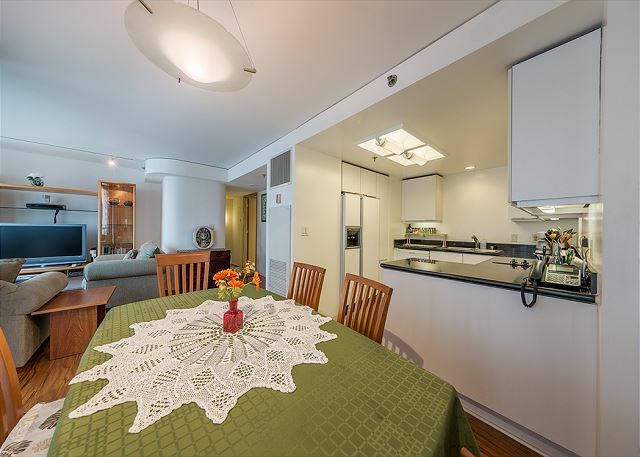 Enjoy the luxurious local life style at this gorgeous condominium.